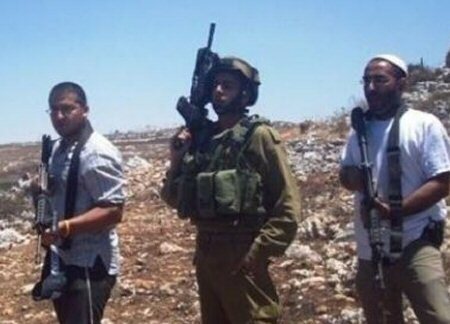 Extremist Israeli settlers, on Friday, shut down the west entrance to the village of Taqou, near Bethlehem, in the occupied West Bank, local sources said. Dozens of settlers, backed by Israeli army and police, gathered at the west entrance to Taqou and banned Palestinian vehicles from entering or leaving the village. The settlers claimed, according to WAFA, that the closure was in protest of stone attacks, by Palestinian villagers, against Israeli settlers’ vehicles driving at a bypass road near the village.